Our partner hotels in Bukit Lawang, Medan, Tangkahan, Lake Toba and Pulau Weh can only be booked in combination with at least one tour of your choice or as a package. Please note that in the Sumatran jungle air con rooms with hot showers are not common. In Bukit Lawang you shouldn’t expect a Bali standard! But our choice of guesthouses and room types is a good selection of options for your stay: clean and with reliable service, in natural surroundings, run by propriet with a sense for sustainability or under management of local families worth supporting. Basic standard with friendly local service is offered at Mega Inn in Tangkahan and at our homestay partner in Simpang Mursal Timpangjaya. 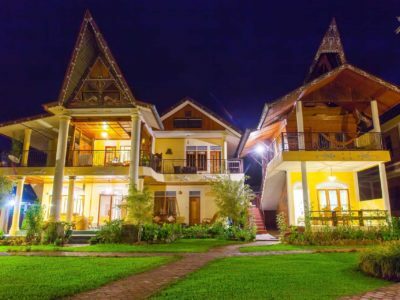 Rather good standard can be expected from Hotel Deli River and Tabo Cottages – our recommended places to stay in Medan and on Samosir island. 1. 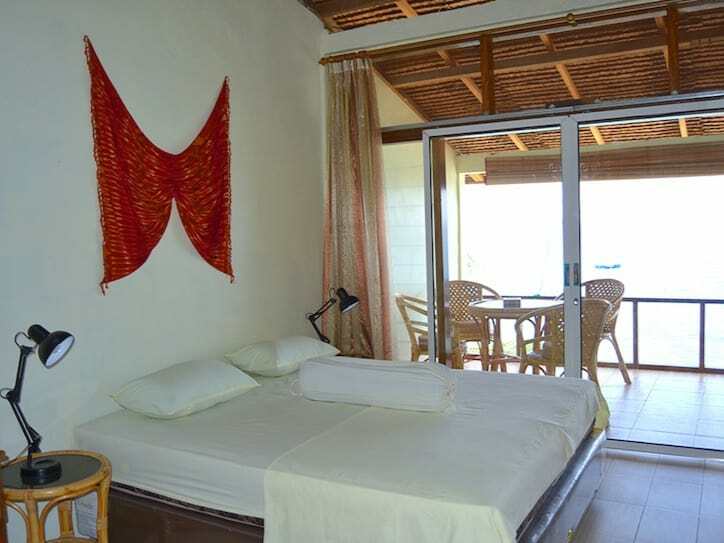 Ecolodge: Cottages and rooms of the Ecolodge provide a comfortable residence. The spacious balconies, terraces and the open layout of the site invite to relax after the “stresses” of a jungle trek. 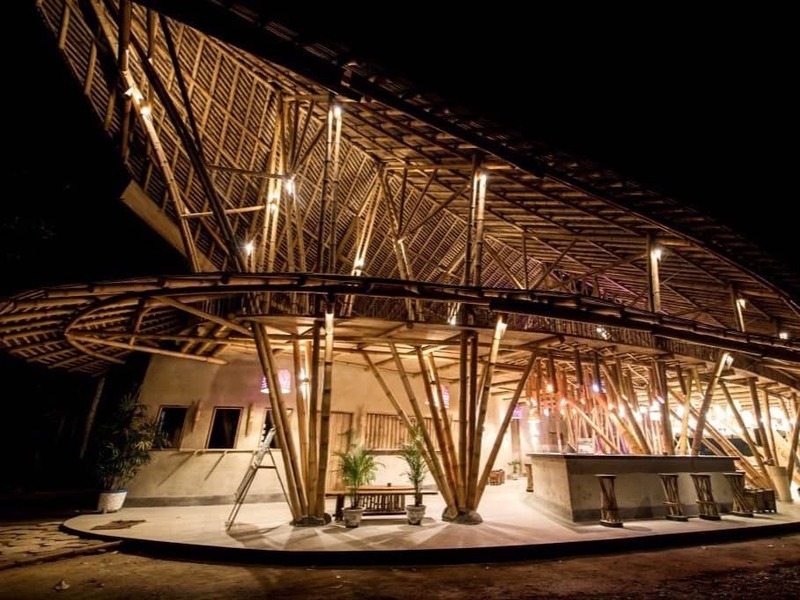 The private setting of the rooms guarantees an unforgettable stay in Bukit Lawang. All rooms are lovingly furnished and the interior’s inspired by the natural surroundings. All Lodges are equipped with a private bathroom (cold shower) and are including breakfast for 2 pax (coffee, tea, juice, toast, fruits, eggs or pancake). Note: Rooms are not air-conditioned! Safe deposit boxes are available. Up to 2 extra beds/breakfast are possible for families, price 10 Euro/bed/nigh. Delicious restaurant, professional Service! Orang-Utan Lodge (2 – 4 pax): 6 clean lodges lovely furnished with bamboo, open-air shower, terrace with garden/river view, breakfast. Thomas Leaf Monkey Room (2 -3 pax): 8 rooms with bamboo furniture, open bathroom with a tropical garden and traditional indonesian shower, balcony with garden/river view, breakfast. 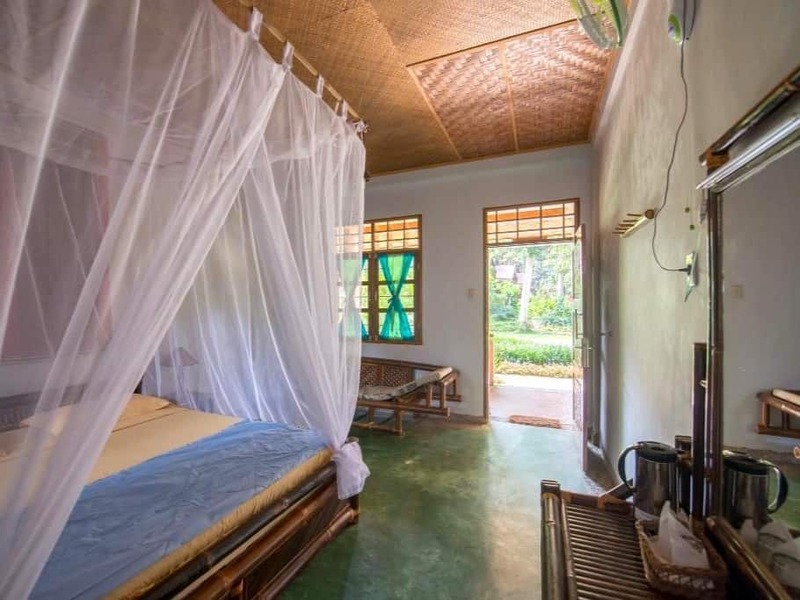 Siamang Lodge (2 – 3 pax): 6 clean lodges with a rural charming bamboo furniture, facing the river, located near an organic garden, terrace with garden view, breakfast. 2. Budget accommodation: We are pleased to be able to provide nice and clean rooms for guests traveling on a smaller budget! 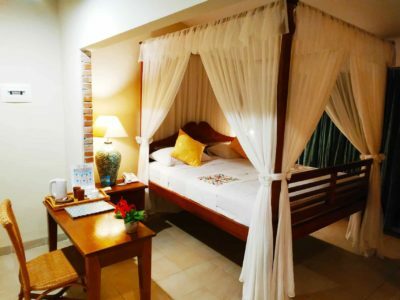 Our partner Eriono Guesthouse offers simple, fan-equipped rooms with balcony with jungle views and bathroom with cold shower. This accommodation is run by a friendly local family, room rates are including breakfast. Our partners Riverside Guesthouse, Garden Inn or Lawang Inn offer simple, fan-equipped rooms with balcony, jungle views or walking way views, bathroom with cold shower, room rates are without breakfast. 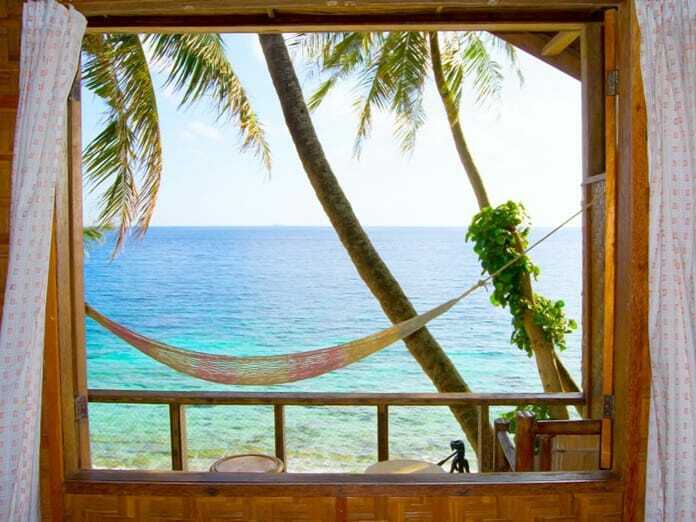 These guesthouses are run by friendly western-indonesian owners. 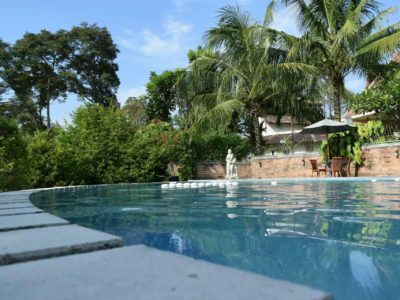 Hotel Deli River: The Hotel Deli River is a small hotel run by a friendly Dutch-Indonesian family just 12 kilometers outside the historical city of Medan and 1 hour away from the airport. 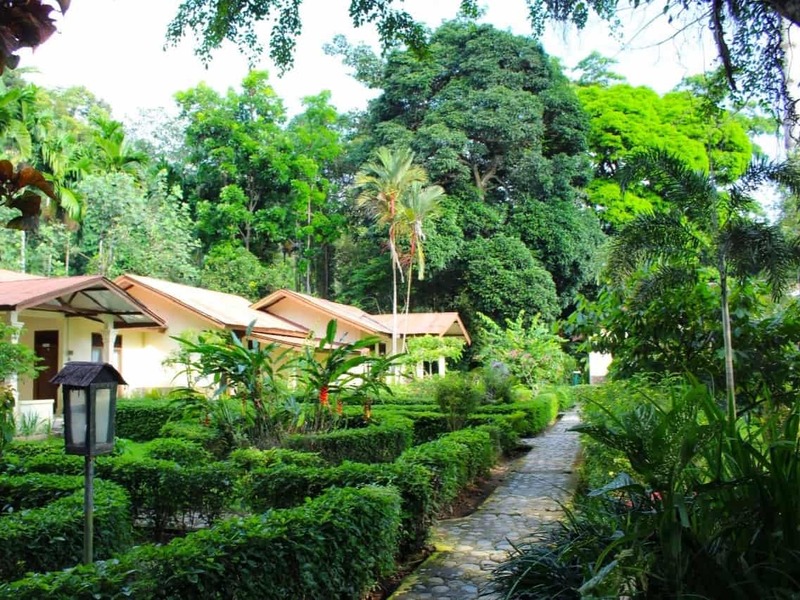 The Hotel is located in a lush tropical garden area that overlooks the banks of the ancient meandering Deli River. This peaceful place adds a personal touch to service and atmosphere: Two spacious cottages with a total of 8 air conditioned rooms with balcony/patio and private bathroom, including breakfast for 2 pax, free wifi & pickup service from the airport (starts from 20 Euro/one way). The hotel-restaurant “Omlandia” is situated opposite the cottages and offers delicious food. The swimming pool built on the edge of the valley overlooking Deli River creates the right atmosphere to relax from everyday stress. A variety of city tours through historic Medan can be booked in advance if required. 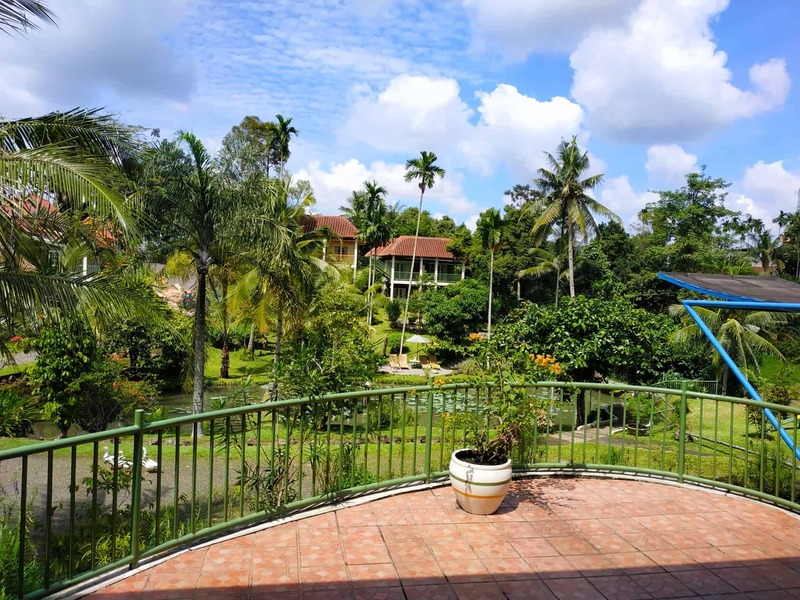 The Hotel Deli River is owned and operated by Dirk A. Buiskool and Diana Pardamean who have been providing tour-guide and hospitality services to international guests since 1990. 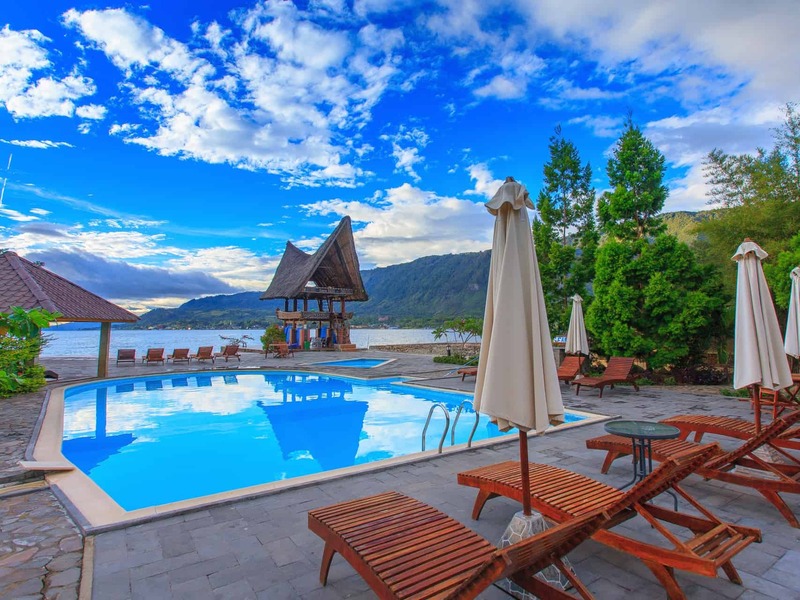 Tabo Cottages: Tabo Cottages is situated on the shore of Lake Toba at Samosir surrounded by rice fields and plantations. The unique style of the restaurant and the rooms in the tropical garden make a great atmosphere to get rid of stress. Tabo’s latest rooms are situated right by the lake overlooking the spacious lawn, the play ground and the picturesque mountains. The Hotel is owned and professional operated by a German-Indonesian family. All rooms are clean and with attached bathrooms (hot shower), balcony/patio with garden/lake view. 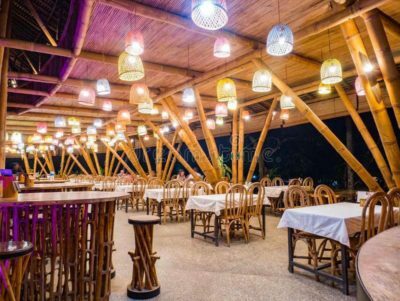 A variety of island tours can get booked at the reception, free wifi is available in the laid back restaurant. All rooms are including a delicious breakfast buffet. Note: Rooms are not airconditioned! During peak season and public holidays all rates are subject to an increase! 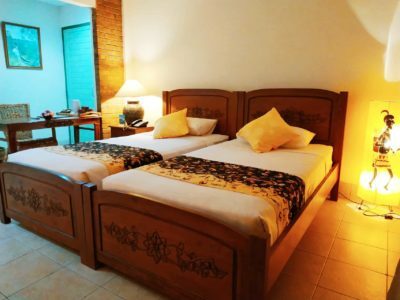 Deluxe Room (2 persons): Standard rooms / Deluxe rooms are functional rooms with king size beds or single beds, some have a half open jungle bath room with hot shower. 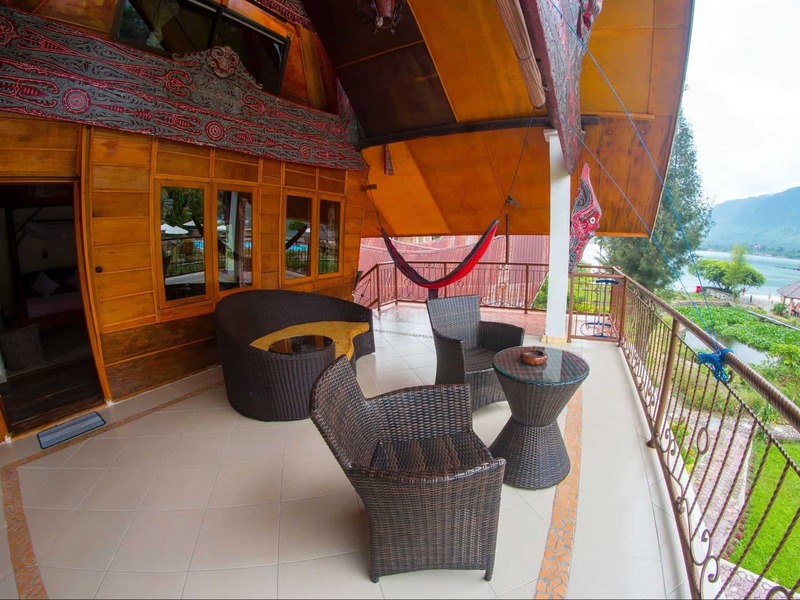 They are equipped with a fan and are situated behind the restaurant without lake view. Junior Suite (2 – 3 persons): Luxury rooms located right by the garden with a great lake view. Tee and coffee making facilities. The sofa bed makes it suitable for small families or for three persons. 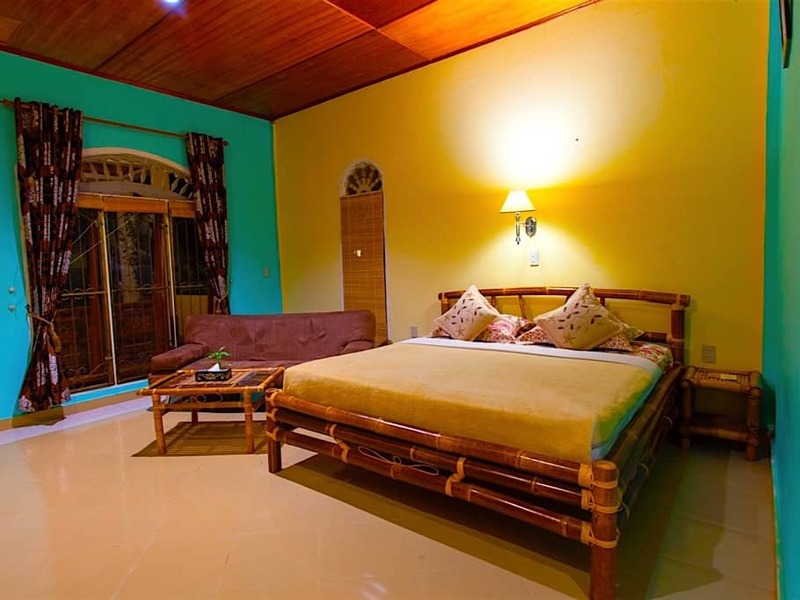 Toba Suite (2 – 4 persons): The Toba suite is built from parts of old traditonal Batak houses equipped with luxury facilities like coffee and tea making facilities, mini bar, fan, king size bed and the bigger units have a french size futon on the loft. The Toba suite is perfect for honey mooners and small families and can be connected via the veranda to a 3 bedroom unit (2 rooms connecting). Freddies Santai Sumur Tiga: Freddies Santai Sumurtiga is situated on small sand beach in the northeastern part of Sabang / Pulau Weh! 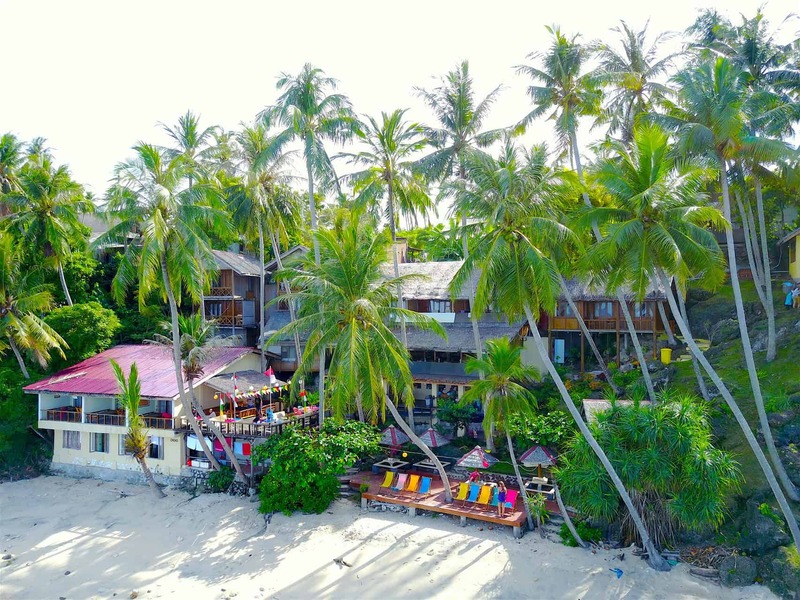 The friendly owner Freddie offers 9 clean standard beach bungalows, 3 new deluxe beach bungalows and 3 family rooms on the 3rd level of the main buidling, each with en-suite bathroom (hot water) and balcony with seaview and fitted hammock. All rooms are equiped with a fridge, roof or standing fans, a free coffee and tea station, water dispenser and a safety box. Note: Rooms are not air conditioned! Freddies unique ecoresort is constructed totally with natural materials and is renowend for its cuisine: The delicious ala carte and buffet restaurants with inside and outside dining areas guarantee an unforgettable stay. 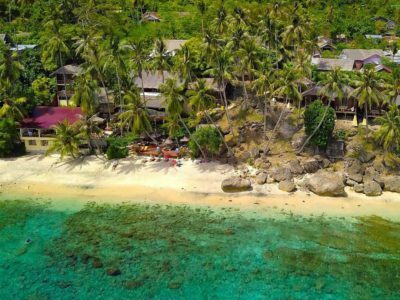 A variety of tours can be arranged, snorkeling mask and motorbikes to rent, diving can get organized, free wifi is available through out the resort. The beach in front of the resort is a recognised international area where guests of the resort are welcome to use bikinis and western style swim wear. Room rates are including a delicious breakfast menu.